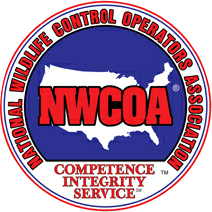 Hogarth’s Wildlife and Animal Removal specializes in Fox Squirrel removal. Fox Squirrel are the largest of the tree squirrels. They range in size from 10-15 inches and are typically reddish in color, but that does vary by location. Despite the differences in size and coloration, they can be mistook for American Red Squirrels or Eastern Gray Squirrels in areas where they co-exist. Fox Squirrel are commonly found in yards and on power lines. 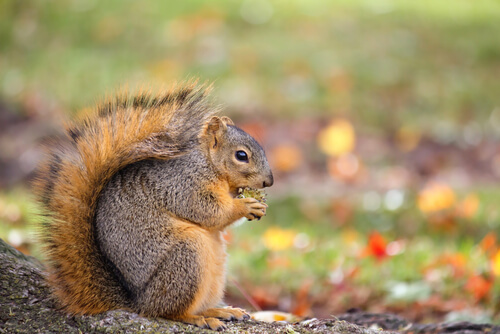 The food habits of these squirrels differs by location; they enjoy plant buds, bulbs, mushrooms, insects, seeds of fruit trees, roots, and bird eggs. Agricultural crops are also enjoyed. The Fox Squirrel spends more time on the ground than other squirrels and is most active during the day. Their nests are called dreys, and they have one for both the summer and winter. The summer dreys are typically made of sticks high up in branches— the winter dreys are in hollowed out trunks. They can nest in the same winter drey or years! Fox Squirrels can be nuisances. They raid birdhouses to eat eggs and hatchlings. It is common to receive complaints from homeowners about these squirrels regularly invading bird feeders, attics, sheds, and garages.